In 1851, the journalist John B.L. Soule penned the phrase, “Go West, Young Man, Go West.” In doing so, he captured the promise of the rugged West and sold it to the young men of the nation. Since the Western expansion, the West has remained a symbol of freedom, individualism, and manliness. This symbol has been drilled into the American consciousness, making it the perfect archetype for American advertisers to draw from. In 1954, Leo Burnett, a titan in the advertising world, did just that. Using the image of the cowboy, the simple phrase “Come to where the flavor is”, and the romanticized vision of the American West, Burnett’s ad agency was able to turn Marlboro cigarettes into the epitome of masculinity. Before Leo Burnett revolutionized the Marlboro brand, Marlboros were seen as feminine cigarettes. 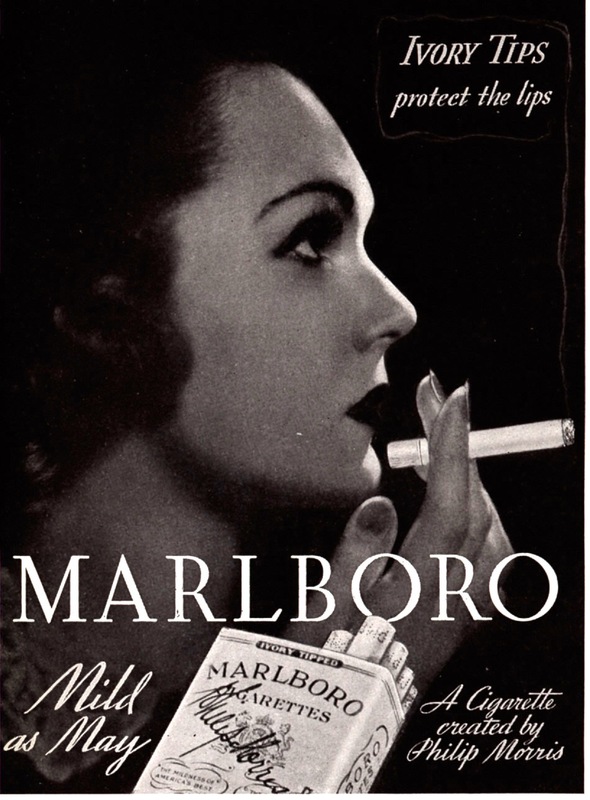 The official tagline of the brand was “Mild as May.” The cigarettes were slender and filtered—attributes Marlboro used to appeal to young women. It wasn’t until the 1950’s that the brand decided to shift gears and target the population with more disposable income to spend on cigarettes: young men. According to Jay Conrad Levinson, who worked on the Marlboro campaign with Leo Burnett, the key to the campaign’s success was patience. In his book Guerrilla Marketing, Levinson reveals that the Marlboro man wasn’t an instant hit. It took time for consumers to adjust to the new direction of the brand, and to overcome their deep-seated beliefs that the brand was for women. It took months for the Marlboro Man campaign to produce results. The Marlboro Man campaign was launched in the days before the Public Health Service declared the correlation between smoking and lung cancer. This was also before marketing a product as “masculine” or “feminine” made the American public cringe. Today, it’s illegal to air tobacco advertisements on TV. It’s also difficult to market a product as “feminine” without backlash—unless you want to incur the wrath of Ellen Degeneres. Times have changed since the Marlboro campaign. Even so, there are lessons to be learned from it. 1. Use archetypes to your advantage. Archetypes, or universal symbols, may convey your message better than words ever could. For example, water is a common symbol for rebirth in ancient and religious stories. This Clean and Clear video ad uses the water archetype, and its connotation with rebirth, to its advantage. The visual of water splashing over this woman’s face leads viewers to unconsciously associate the Clean and Clear product with rebirth and transformation: a powerful message for a skin care product. 2. Make like Jay Conrad Levinson and have patience. Creating a recognizable brand isn’t fast or easy. Neither is re-branding. Ad campaigns take stamina and a willingness to keep the message consistent, even if it takes months to see any progress. The Marlboro Man wasn’t built overnight. Each Thursday, the Viddyad team will choose a new commercial to add to our Video Ad Campaign Hall of Fame. If you have any nominees (video advertisements that made you laugh, made you cry, stood the test of time, or made you go “WHOA”) let us know! Comment below or shoot us an email at social@viddyad.com.